Is Loni Anderson Lesbian ? The actress Loni Anderson has worked in numerous TV shows and movies till this date. However, she is best known for her leading role in the sitcom ‘WKRP in Cincinnati.’ The series earned her three ‘Golden Globe’ and two ‘Emmy Award’ nominations. The actress Loni Kaye Anderson was born in Saint Paul, Minnesota, on August 5th, 1946, to Maxine Hazel and Klaydon Carl Anderson. Her mother was a model, while her father worked as an environmental chemist. Loni is of American by nationality and white by race/ethnicity. Loni Anderson also has a sister named Andrea Sams. She went to Alexander Ramsey Senior High School in Roseville and graduated in 1963 and later graduated from the University of Minnesota in Arts. Loni Anderson got her first role in 1966 in a small role in the movie ‘Nevada Smith,’ in which Hollywood superstar Steve McQueen was in the lead role. Loni Anderson had also worked as a teacher when she did not get any roles. On the year 1978, her life turned around after she starred in a guest role in two episodes of the popular sitcom called ‘Three’s Company.’ Although short-lived, that role helped her bag a role in the popular sitcom ‘WKRP in Cincinnati,’ which became her first major breakthrough role. In ‘WKRP in Cincinnati,’ Loni had played the role of a receptionist named ‘Jennifer Marlow.’ It became the most beloved character on the sitcom. Later the sitcom, too, had become one of the most successful series of the 1970s. Loni even earned multiple ‘Golden Globe’ and ‘Emmy Award’ nominations for her role in the sitcom. The series aired till 1982, and Loni had made an appearance in about 89 episodes. Later on, Loni Anderson appeared as the lead in the 1986 sitcom ‘Easy Street.’ Though, the series ran for 22 episodes and it was considered a commercial and critical failure. Later in 1992, Loni Andreson had made her comeback on the big screen with the comedy-drama movie ‘Munchie,’ which was also the debut movie of the acclaimed actor Jennifer Love Hewitt. And in the year 1993, she returned to the small screen with a key role in the series called ‘Nurses,’ however, the series only earned average ratings. According to some online sources, Loni Anderson has an estimated net worth of $12 million. Although she has been part of projects which have been failures in the eye of the public she still got paid for her work in those project. Loni Anderson has been married four times till this date and currently, she is married to married a musician named Bob Flick. They got married in the year 2008. She was first married to Bruce Hasselbeck in the year 1964, with whom she had a daughter, Deidra Kaye Hasselbeck. However, the couple got divorced in 1966, after two years of marriage. Then Loni got married to Ross Bickell in the year 1973. Likewise, the marriage did not last long as they got divorced in 1981. Later in 1988, Loni then got married to her co-star for the movie ‘Stroker Ace’ Burt Reynolds and they adopted a son named Quinton Anderson Reynolds. Same as before the marriage did not last, and the couple got divorced in 1993. Don't Miss: Ian Alexander Sr.
Loni has always been actively involved in various charitable causes, mostly related to spreading awareness about 'Chronic Obstructive Pulmonary Disease" (COPD), it is a lung disease. Both her parents suffered from the illness because her parents were regular smokers. Eventually, in the year 1997, Loni had published her autobiography, ‘My Life in High Heels.’ She doesn't seem to be on Instagram or Twitter. Loni Anderson currently 73 years and stands at a height of five feet and six inches, and weighs 56 kilograms or 125 pounds. Her body measurement is 37-25-35 inches. Her bra size is 34 C.
She first married to Bruce Hasselbeck in the year 1964 and had a daughter, however, they got divorced after two years in 1966. Like before her marriage with Ross Bickell did not last as long as she thought it would. They got divorced in 1981. 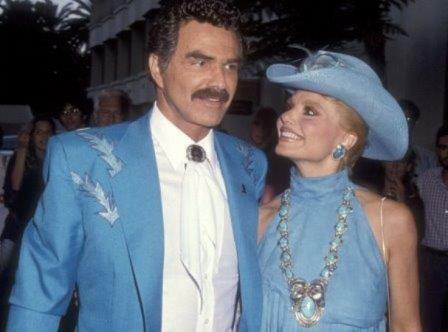 Burt Reynolds was her co-star from the movie 'Stroker Ace' and they got married in 1988 and adopted a son. However, they later divorced in the year 1993. Deidra Kaye Hasselbeck is the first-born daughter of Loni Anderson, she was born in 1965. Quinton Anderson Reynolds is not her biological son, he was adopted by Her and Burt Reynolds.